The US-based Insurance Institute for Highway Safety or IIHS just released their 2018 headlight evaluation and things are looking dim, literally, for owners of the Civic, Fit (our market Jazz), and HR-V. These three Honda models are among the 40 other models tested by the IIHS to score a “poor” when it comes to their headlights. Other notable cars with “poor” headlight ratings across variants include: the Audi Q3, Chevrolet Malibu, Chrysler 300, Dodge Charger, Ford Explorer, Hyundai Accent, Jeep Renegade, Mercedes-Benz C-Class, Mercedes-Benz CLA-Class, Toyota C-HR, and the Toyota Yaris iA (a modified Mazda2). The IIHS says that when equipped with the best-available headlight option, 32 of the 165 models evaluated this year earned the highest rating of “good,” while 58 models earned “acceptable” ratings. This is a far cry from the agency’s first-ever headlight test done in 2016 when only 2 models earned a good rating. When a single model has several different headlight configurations, the IIHS tries to test all of them. They are evaluated for both nighttime visibility and reduced glare (to both driver and oncoming drivers). Good-rated headlights are considered to be the first step in gaining a Top Safety Pick+ award. Observed by the IIHS, headlight performance differs greatly between a model’s trim lines. Case in point is the Kona. Equipped with LED headlights, they illuminated almost 450 feet (137 meters) of straightaway road compared to 220 feet (67 meters) in the halogen-equipped variant. The IIHS considers 325 feet (100 meters) illuminated by 5 lux to be optimal. 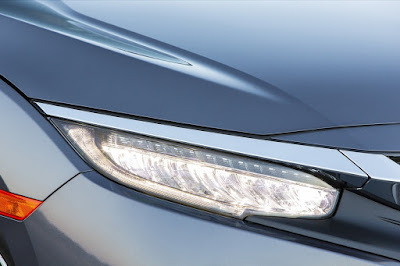 The IIHS says that only the Hyundai Genesis G90 and the Lexus NX are the only models to come with “good-rated” headlights no matter the trim line while the Chevrolet Volt, Genesis G80, Mercedes-Benz E-Class, and Toyota Camry all had “acceptable” ratings when equipped with their most basic headlight configuration. Headlights are essential crash avoidance technology. About half of all fatal crashes in the U.S. occur in the dark, and more than a quarter occur on unlit roads. Headlights have an obvious role to play in preventing nighttime crashes, but not all headlights perform their job equally. Differences in light source, headlight technology, and even something as simple as how the lights are aimed all affect the amount of useful light supplied. Properly aimed low beams light up the road ahead without temporarily blinding drivers of oncoming vehicles. Subaru is among a handful of manufacturers that made running changes to certain 2018 models to improve ratings, mostly by readjusting headlight aim. As a result, the Crosstrek (our XV) moved to a good rating from poor for its best-available headlights, the Forester climbed to acceptable from marginal, and the Outback rose to good from acceptable. Other manufacturers that made similar running changes are Hyundai/Kia, Mazda, Mercedes-Benz, Volkswagen and Volvo. The IIHS also notes that High-beam assist is quickly gaining traction with 45 percent of the 2018 models evaluated having the feature, up from 37 percent in 2017. High-beam assist automatically switches between high beams and low beams, depending on the presence of other vehicles. Vehicles with the feature get extra credit in IIHS headlight evaluations.